Nancy is the capital of the north-eastern French department of Meurthe-et-Moselle, and formerly the capital of the Duchy of Lorraine, and then the French province of the same name. The metropolitan area of Nancy had a population of 434,565 inhabitants at the 2011 census, making it the 20th largest urban area in France. The population of the city of Nancy proper was 104,321 in 2014. Les Dernières Nouvelles d'Alsace, commonly known as DNA, is a regional daily French newspaper covering the Alsace region. There were several video and audio recordings released by Osama bin Laden between 2001 and 2011. Le Temps is a Swiss French-language daily newspaper published in Berliner format in Geneva by Le Temps SA. Sa'ad bin Osama bin Muhammad bin 'Awad bin Laden, better known as Saad bin Laden, was one of Osama bin Laden's sons. He continued in his father's footsteps by being active in Al Qaeda, and was being groomed to be his heir apparent. He was killed in an American drone strike in 2009. Socpresse was a French corporation which controlled the conservative daily newspaper Le Figaro, the weekly magazine L'Express, 40% of the weekly Le Journal du Dimanche, Valeurs Actuelles, and the football club FC Nantes. The company was acquired by the Dassault in September 2006. Before that date, 13% of the shares belonged to Aude Ruettard, the granddaughter of Robert Hersant. After the acquisition, Dassault sold off most of the company, retaining Le Figaro and FC Nantes. 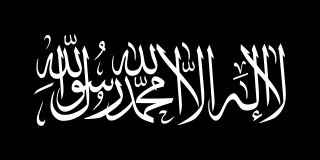 Osama bin Laden, a militant Islamist and reported founder al-Qaeda, in conjunction with several other Islamic militant leaders, issued two fatawa — in 1996 and then again in 1998—that military personnel from the United States and allied countries until they withdraw support for Israel and withdraw military forces from Islamic countries. He was indicted in United States federal court for his alleged involvement in the 1998 U.S. embassy bombings in Dar es Salaam, Tanzania and Nairobi, Kenya, and was on the U.S. Federal Bureau of Investigation's Ten Most Wanted Fugitives list until his death. Omar bin Osama bin Mohammed bin Awad bin Laden, better known as Omar bin Laden, is one of the sons of Osama bin Laden and his first wife and first cousin Najwa Ghanem. He is the fourth-eldest son among 20 children of Osama bin Laden. Older reports have described Omar and his brother Abdallah bin Laden as nephews or cousins of Osama bin Laden. La Bougie du Sapeur is a humorous French newspaper launched in 1980 that prints only on Leap Day, making it the world’s least frequently published newspaper. Nadine Morano is a French politician. She served as a member of the National Assembly and as a minister. She serves as a Member of the European Parliament. The September 11, 2001, attacks in the northeast United States were an organized terrorist act carried out by 19 hijackers, and organized by numerous members of al-Qaeda. 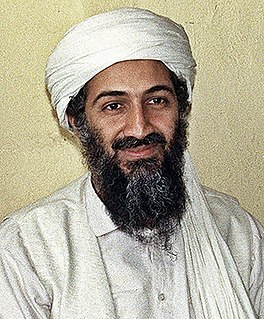 Motives for the attacks were stated before and after the attacks in several sources, Osama bin Laden's declaration of a holy war against the United States, and a fatwā signed by bin Laden and others for the killing of Americans in 1998, are seen by investigators as evidence of his motivation. 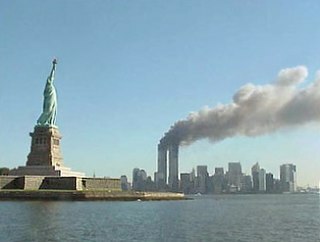 However, in an interview with Daily Ummat, Osama bin Laden rejected Al-Qaeda's involvement in the September 11 attacks. Since the early 1990s, several interviews of Osama bin Laden have appeared in the global media. Among these was an interview by Middle East specialist Robert Fisk. In the interviews, Bin Laden acknowledges having instigated bombings in Khobar and Riyadh, but denies involvement with both the 1993 and 2001 attacks on the WTC towers in New York. When authorities from the United States began scouring the globe looking for the location of Osama bin Laden following the September 11 attacks in 2001, there were a number of unconfirmed sightings of Bin Laden in the United States. 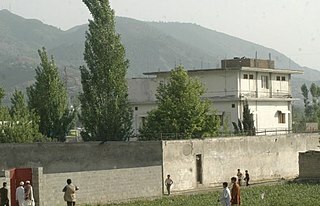 On May 1, 2011, United States President Barack Obama confirmed that al-Qaeda leader Osama bin Laden had been killed in his compound in Abbottabad, northeastern Pakistan. Bin Laden's death was welcomed throughout most of the world as a fitting end to a figure who had inspired mass bloodshed, and a positive and significant turning point in the fight against al-Qaeda and related groups. Those who welcomed it included the United Nations, European Union, NATO, and some nations in Asia, Africa, Oceania, South America, and the Middle East, including Yemen, Lebanon, Saudi Arabia, India, Israel, Indonesia, Somalia, the Philippines, Turkey, Iraq, Australia, Argentina, and the rebel Libyan Republic. 1 2 3 4 5 6 7 "L'Est Républicain". Euro Topics. Retrieved 17 May 2015. 1 2 "L'Est Républicain achieves greater efficiency". Baldwin Technology Company. Archived from the original on 18 May 2015. Retrieved 17 May 2015. ↑ Raymond Kuhn (7 April 2006). The Media in France. Routledge. p. 32. ISBN 978-1-134-98053-6 . Retrieved 17 May 2015. ↑ "Societe du Journal l'Est Republicain SA". Google Finance. Retrieved 17 May 2015. ↑ "Osama bin Laden has died, according to the L'Est republicain". Free Republic. Paris. AF. 23 September 2006. Retrieved 17 May 2015.